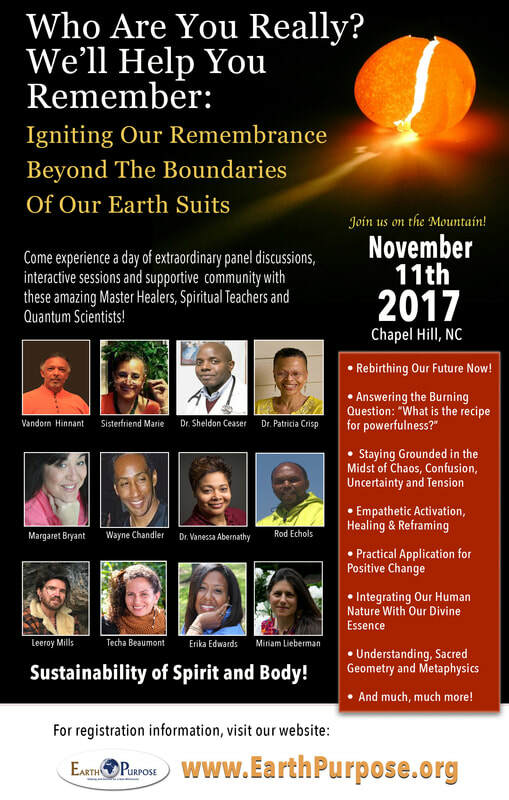 Join us on Saturday November 11, 2017 for an opportunity to receive practical applications for positive and empowered transformation in a day of extraordinary panel discussions, interactive workshops and supportive community with a group of amazing Master Healers, Spiritual Teachers and Quantum Scientists! During these times of social unrest, confusion, tension and stress, now, more than ever, we need opportunities to reframe our thinking and embedded negative patterns. We need all of our teachers, healers, scientists, artists, activists, thought leaders, spiritual teachers, musicians, authors, creatives, holistic practitioners, cultural strategists, scholars, social and environmental visionaries to join us as we raise and sustain our individual and collective vibrations. Learning, remembering and activating tools and techniques to live beyond the boundaries of our limited earth suit existence. And together, we’ll ignite and rebirth our future now!